The teen girls living at this residential foster care facility have been removed from their homes for reasons ranging from abuse and neglect to being considered "high risk" for crime. Many have experienced trauma and all are, in many ways, alone. 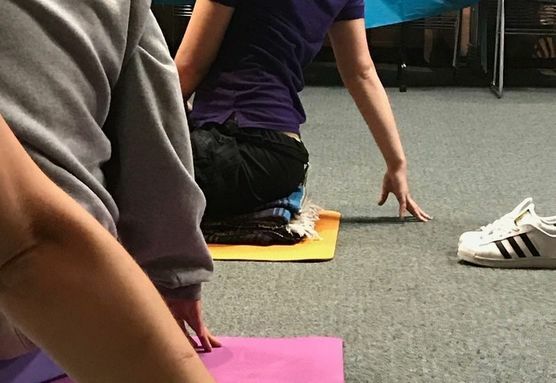 Our yoga and meditation class guides the girls to feel the still and calm point that is within them, to learn to handle their reactions and stress, and to find loving connection with each other. Jenny Jared is CoFounder and Creative Director of United We Om. She been blessed to practice along side homeless mothers, eating disorder recovery communities, and now teen girls in foster care. Jenny is proud mother to two little children and run United We Om with her CoFounder and husband Matt.